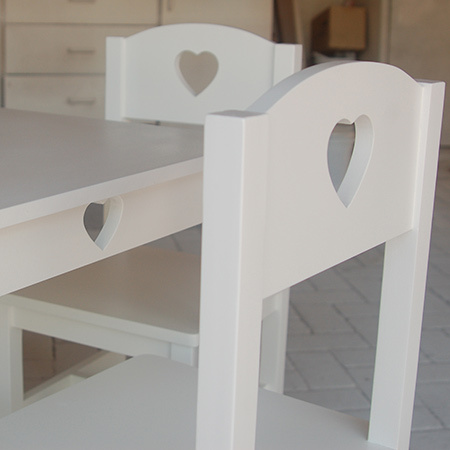 Designed to be sturdy, this table and chair set is just perfect for a child's bedroom. 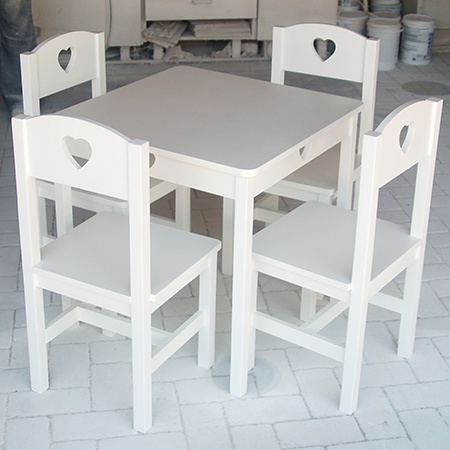 Although this set is painted white, you can paint in any colour you like using Prominent Paints select sheen or Rust-Oleum 2X colours. 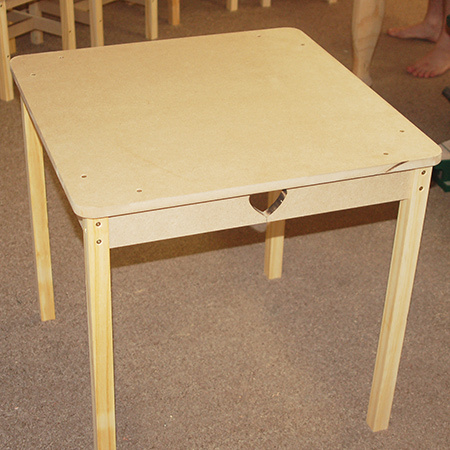 The table top and chair seats have rounded corners to prevent little ones bumping themselves. 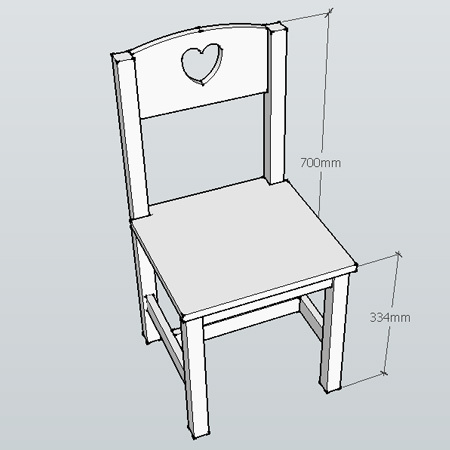 The height is suitable for children aged 2 to 8 (depending on size). 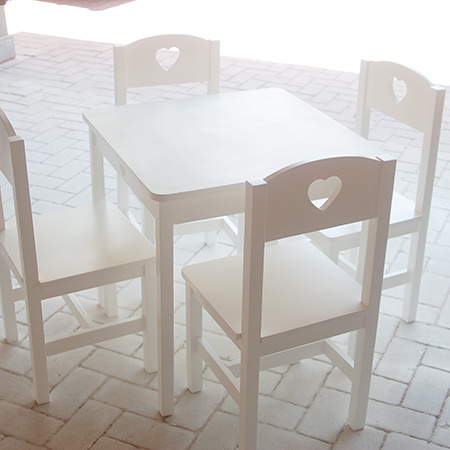 The chairs have adorable cut-out hearts in the back which is repeated in the apron around the table. The set is made using 16mm SupaWood and pine that you will find at your local Builders. Have everything cut to size and then grab your jigsaw to add detail and shape. The design is very sturdy and we tested the entire assembly by sitting on it to make sure it didn't wobble or pieces were loose. Go bold with one of the glorious colours in the Rust-Oleum 2X range of spray paints. See Rust-Oleum in full colour at your local Builders. 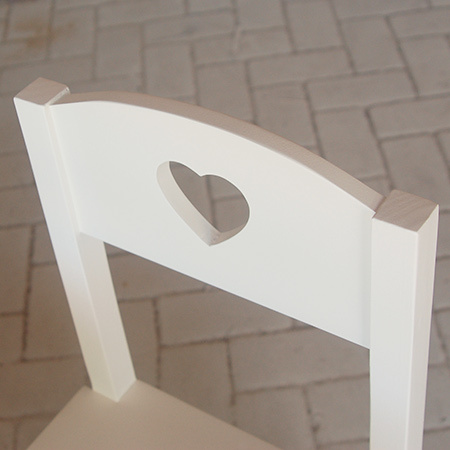 The trickiest part of this project is cutting out the heart shapes in the table aprons and chair backs. 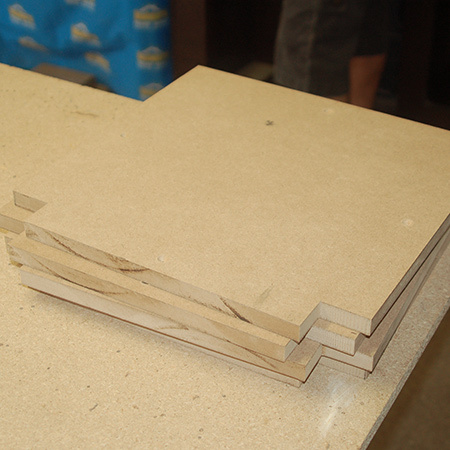 Print out or draw a template and then use a scroll saw blade in your jigsaw. Cut slowly and carefully and then sand away any boo boos. If you have a Dremel MultiTool you can pop on a sanding ring to make the job much easier and faster. 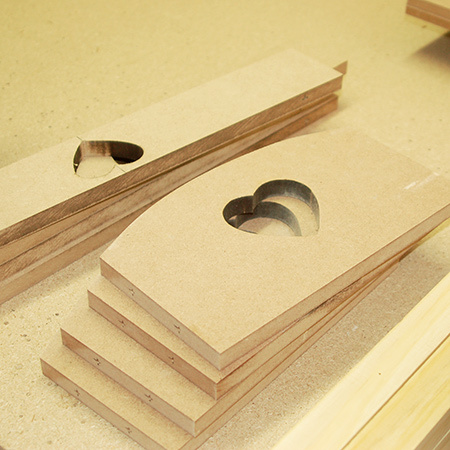 Cut a slight curve on each of the top chair backs. You also need to cut out a rebate 40mm from the side (340mm edge) and 32mm in from the back (350mm edge) for mounting the back legs. 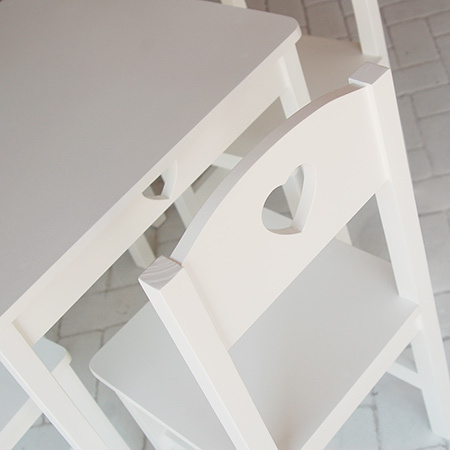 It is a good idea to sand all the sections before assembly, particularly rounding off corners on the table and chair seats. I didn't do this and found out the hard way that it is easier to do before rather than after. 1. 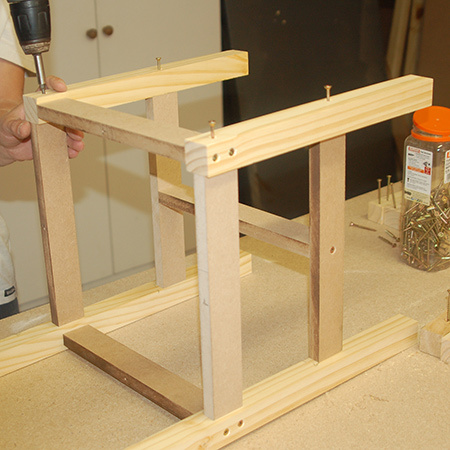 Attach the front legs to the front support rail, making sure the top edge is flush. 2. 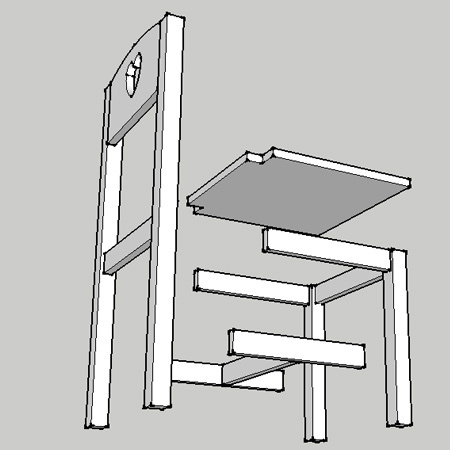 Assemble the chair back by attaching the back legs to the chair back and chair back rail. 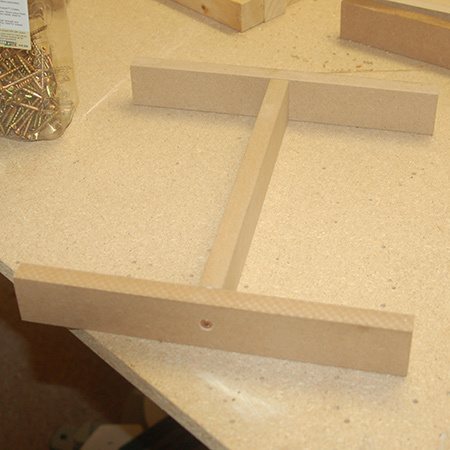 Drill 3mm countersunk pilot holes for ALL joined sections. 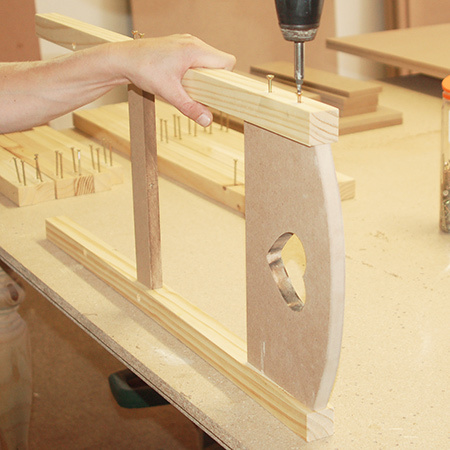 When you are finished with the assembly, any holes can be filled with wood filler to hide screws. 3. 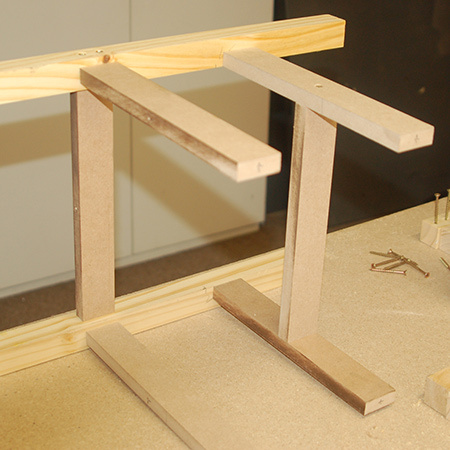 Make up the bottom support by joining together the sides and centre rail, as shown below. Use screws and wood glue. 4. Secure the support and the two chair side rails to the back legs. 5. Add the front assembly as shown below. 6. 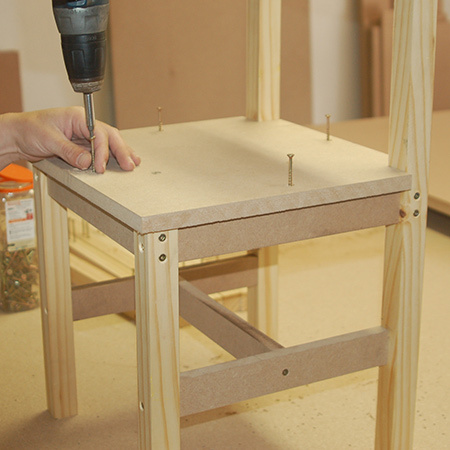 Secure the chair seat by driving screws through the seat into the supports. 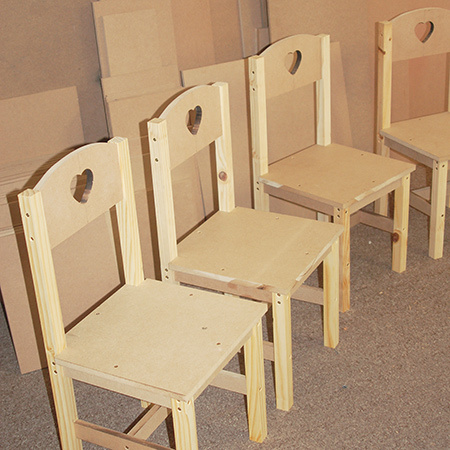 ABOVE: Finished chairs ready for sanding and painting. 7. Assemble the table starting with attaching the legs to the aprons. 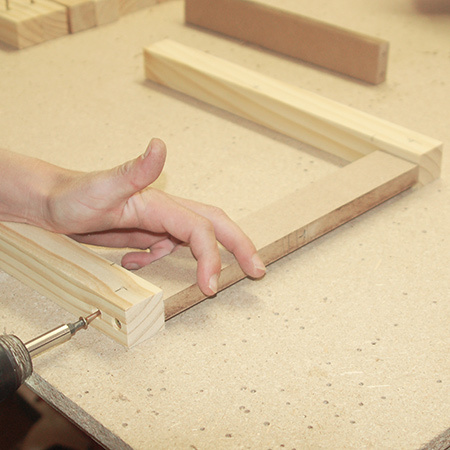 Make sure the aprons are flush with the top of each leg before securing the table top. 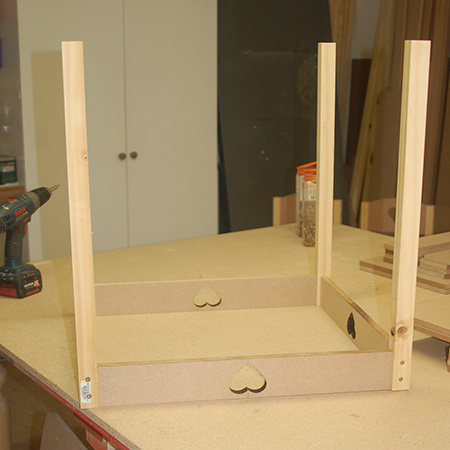 Fill all screw holes with wood filler. Let dry and then sand all the sections smooth with 240-grit sanding pads. Wipe clean to remove all traces of dust. 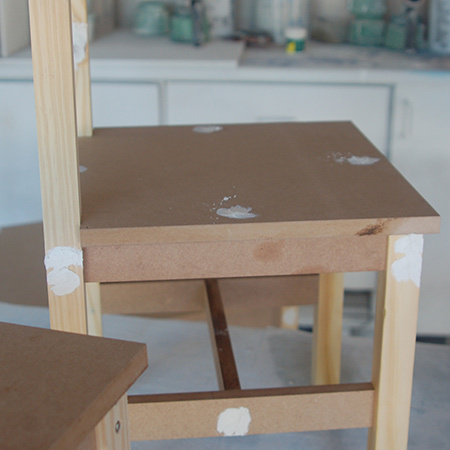 On all the wood sections spray with Rust-Oleum primer or apply wood primer. Let this dry before painting. Apply two to three coats of acrylic sheen paint, allowing drying time between each coat.